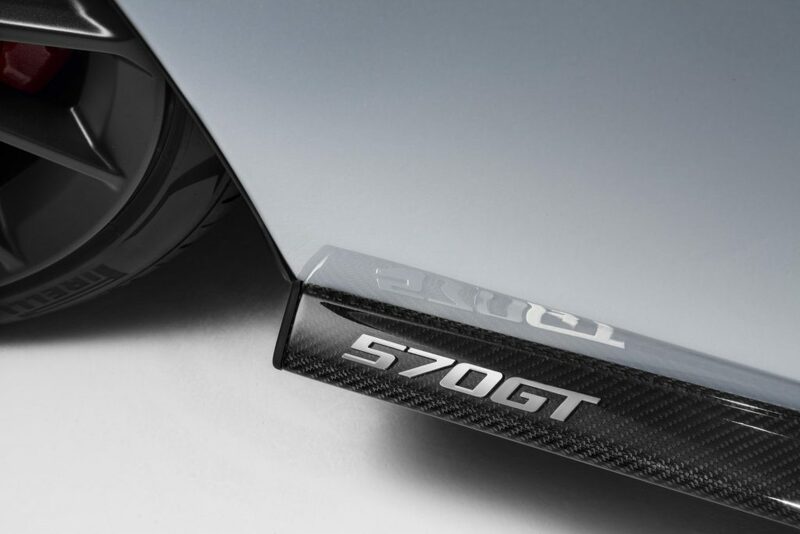 As with all models in the Sports Series, the 570GT is extensively equipped throughout with the latest technologies and the highest quality materials. As standard, the new model features extended leather upholstery, electrically adjustable heated seats with memory function, front and rear parking sensors, an electric steering column with easy entry / exit function, soft close doors and a quieter exhaust system compared to the 570S Coupé. Lightweight noise absorbing and damping materials are used to line the Touring Deck and bulkhead, further enhancing the level of refinement within the cabin. 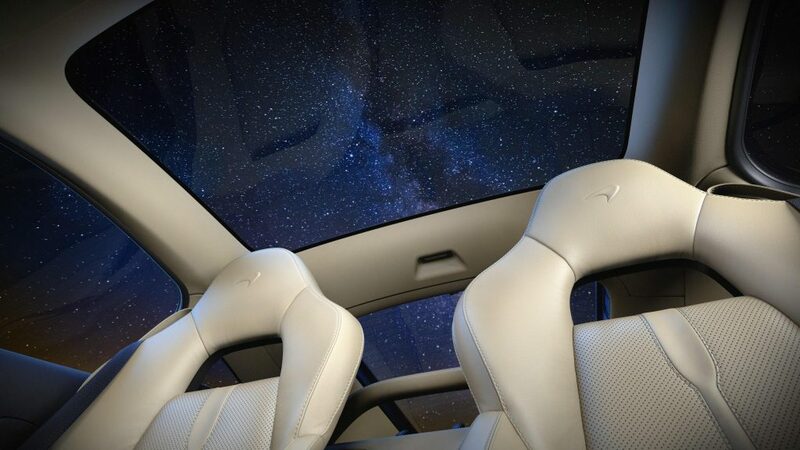 Available from launch are a range of ‘By McLaren’ designer interior specifications, designed to demonstrate the breadth of personalisation available. 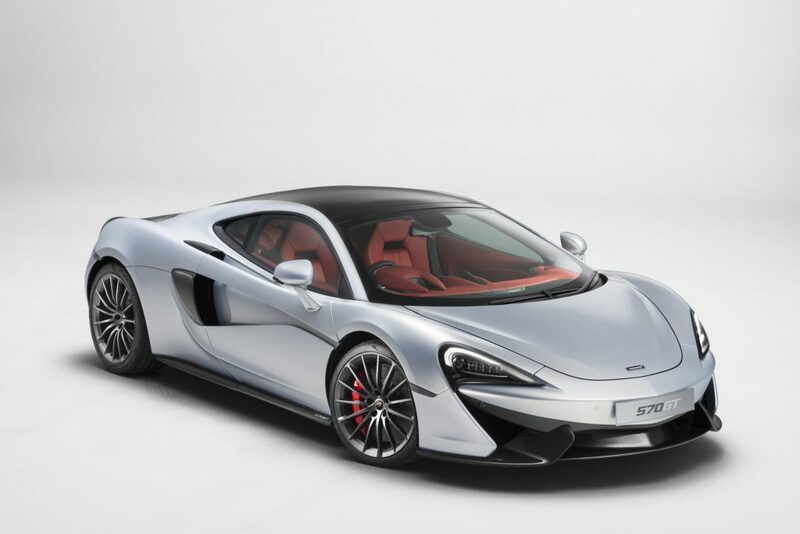 As with the 570S Coupé, these are available in a choice of Luxury or Sport configurations, and are designed to showcase the interior design of the 570GT, and compliment the exterior colour choices. The eight speaker McLaren Audio Plus system is fitted as standard. This system – optional on the 570S Coupé – includes two 100mm mid / bass drive units adding to the clarity and depth of the sound, and two 25mm tweeters in the rear of the cabin which balance the sound to ensure the occupants have a greater sense of immersion. 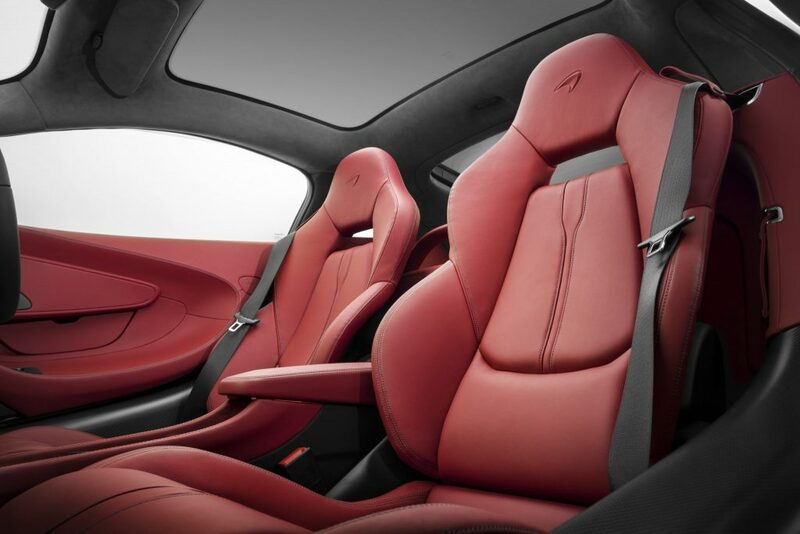 A 12-speaker Bowers & Wilkins system is also available re-tuned to the different interior acoustics of the 570GT. The system comprises five 25mm aluminium Nautilus tweeters, five 100mm Kevlar® mid-range drive units and two 200mm carbon fibre & Rohacell bass subwoofers. All speakers are driven by a fully digital 14-channel 1280W Class D amplifier. 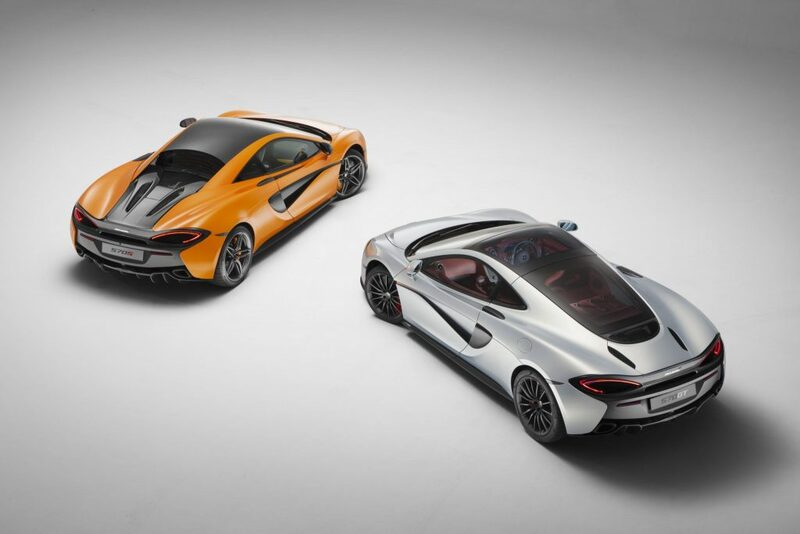 The revised design of the 570GT sees the glasshouse with clean and sleek lines leading to the rear of the car. 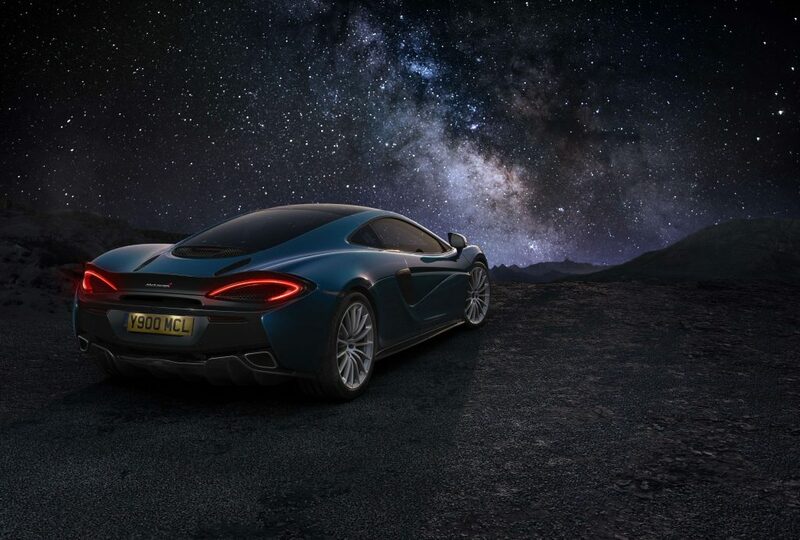 With the side-opening Glass Hatch and increased luggage area, the 570GT features a unique aerodynamic package, including an extended fixed rear spoiler – 10mm taller than that fitted to the Coupé models – designed to offer the same levels of aerodynamic performance as the distinctive flying buttresses of the 570S Coupé. 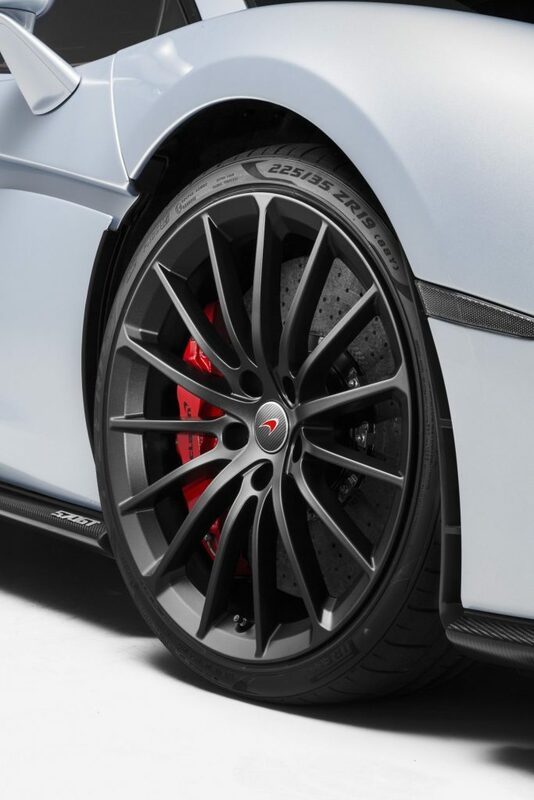 The front end design of the 570GT is shared with that of the 570S Coupé, with the front bumper featuring a pronounced point which generates the centre of pressure, piercing the air to reduce drag and forming four quadrants. 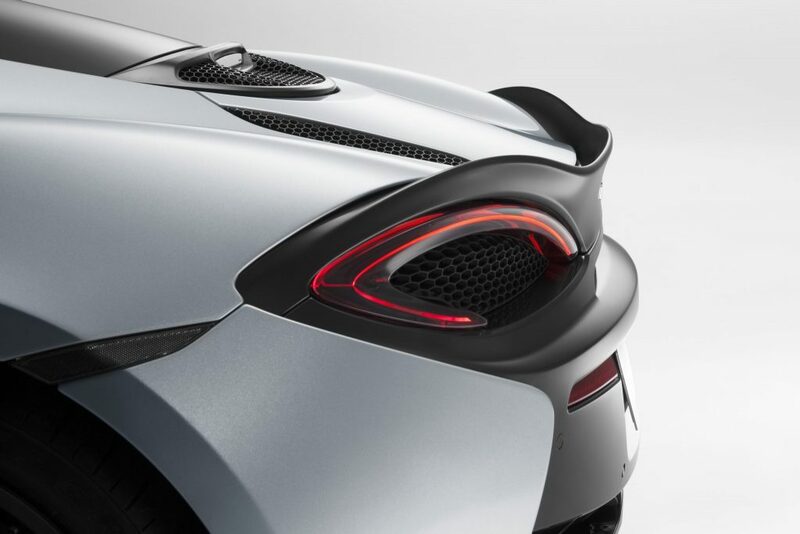 This aerodynamic feature is designed to separate the airflow above and below the bodywork, and along each flank. As seen on the other models in the Sports Series, the bonnet features strong crease lines which optimise airflow over the front fenders and into the side air intakes. Aero Blades below the front bumper are angled to produce an area of high pressure ahead of the low temperature radiators. 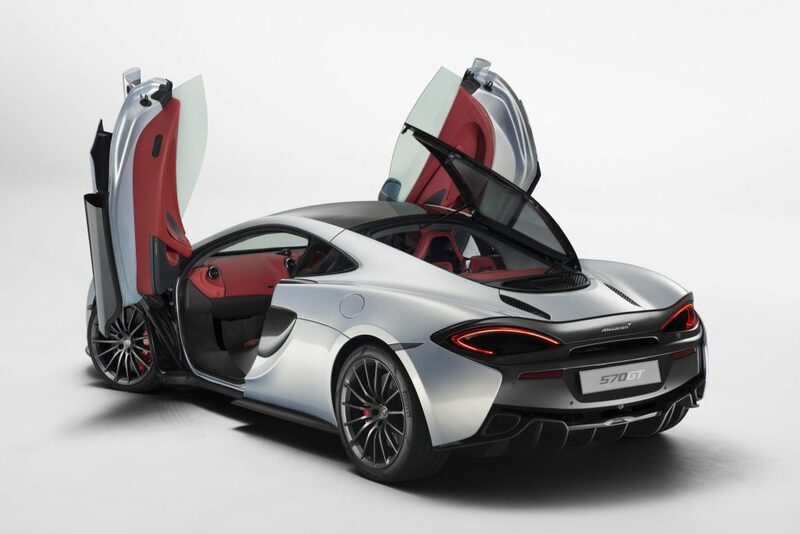 First introduced on the iconic McLaren F1, and now signature to each of the models in the McLaren Automotive range, the 570GT features distinctive dihedral doors, which open upwards and outwards to aid ingress and egress from the cabin. The design includes a ‘floating tendon’, designed to channel air into the side air intake. 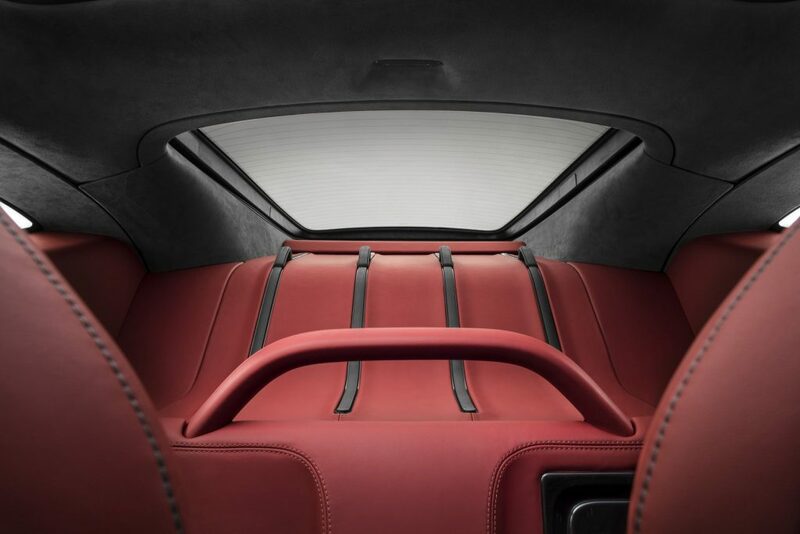 Body-coloured door inserts, unique to the 570GT, create a more understated side profile and further differentiate the 570GT from the Coupé models. As with all McLaren models since the introduction of the MP4-1 Formula 1™ car in 1981, the 570GT uses a carbon fibre chassis. The MonoCell II debuted in the 570S Coupé, and is shared across the Sports Series models. Weighing just 75kg, the lightweight yet extremely stiff chassis contributes to a dry weight of 1,350kg (2,976lb). This equates to 422PS per tonne, providing breathtaking performance more commonly seen in the supercar segment: 0-100 km/h (0-62 mph) in 3.4 seconds, 0-200 km/h (0-124 mph) in 9.8 seconds, with a top speed of 328 km/h (204 mph). Despite supercar performance figures, there have been no sacrifices to the everyday drivability and practicality of the 570GT which returns 26.6 mpg (10.7 l/100 km) on the EU combined cycle and emissions of 249 g/km. The latest model in the Sports Series is fitted with a lightweight composite braking system. Set up with a greater focus on road driving, the system includes iron discs (front 370mm x 32mm / rear 350mm x 30mm) with four-piston callipers front and rear. In front of these sit a set of unique 15-spoke GT Design cast alloy wheels – 19-inch front, 20 inch rear. The newly-designed wheels are fitted exclusively with Pirelli tyres. As standard, road-focused P Zero™ tyres are fitted, while a more performance-focused P Zero™ Corsa option is also available. The 570GT is priced from £154,000 in the UK, with first deliveries due to commence late in 2016.